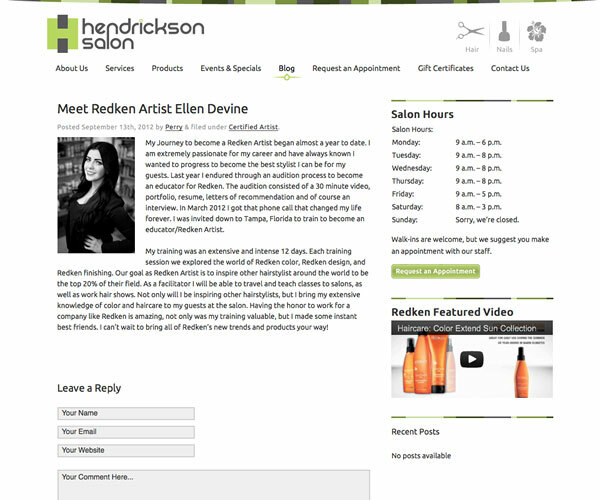 When Hendrickson Hair Salon came to Think Tank they were in the middle of a brand identity crisis. Known as a top-notch design studio in the St. Louis area, their website and branding efforts did not reflect their clientele and body of work. 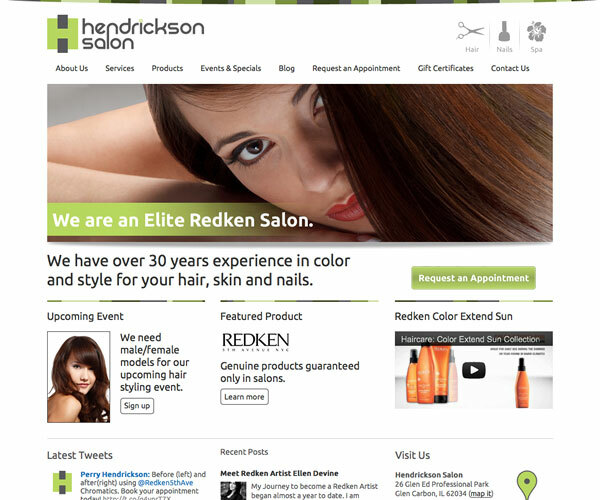 After developing a new identity for the company, Think Tank set out to create a website that was an stunning as the looks Hendrickson Hair Salon produced. Think Tank was challenged to incorporate an easy-to-use website that was able to be updated by the salon staff. The site had to be able to book online appointments for clients, house a blog, and alert customers to specials, coupons and events. 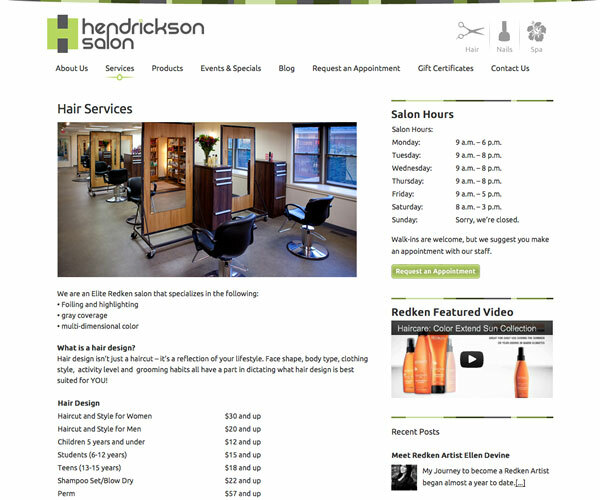 The end result was a site that was clean-lined and easy for customers to navigate and portrays what Hendrickson Hair Salon really is – a high-end, full-service salon that gives exceptional service.